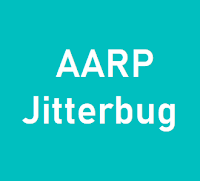 AARP Jitterbug Discount - Jitterbug Phones for AARP Members? Does Jitterbug Phones for AARP Members Exist? Is there an AARP Jitterbug Phone offer? Does AARP Jitterbug smartphone Exist? 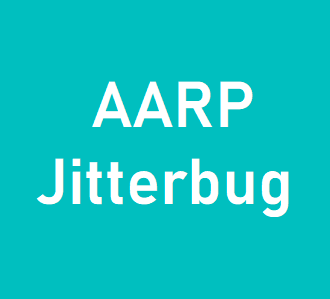 AARP Jitterbug Phone plans discount? In fact, there are no AARP Jitterbug phone discounts available at the current time. The AARP organization recommends the applications, which provided by GreatCall and work with the Jitterbug phones as these apps can help the senior citizens. And recently the AARP magazine recommends the new Jitterbug Smart as the best choice for senior citizens who are looking for a smartphone. You will find a full review for the Jitterbug Smart in the Jitterbug phones section. For who are asking for AARP Jitterbug phone plans discount, GreatCall (the Jitterbug service provider) doesn’t offer any discount for the AARP members at the time of writing this article. You can get a Jitterbug phone with a pay as you go plan from GreatCall. The plans start at $15 a month, targeting senior citizens who only use their cell phones for emergency or occasional calls. You also have the benefit of access GreatCall 24/7 service all the time for free, for more details check out the Jitterbug phone plans.